Arizona overcame its own second half boredom and a number of mental breakdowns by posting an Offensive Rating of 133.3 in blowing out North Dakota, 100-82. Parker Jackson-Cartwright and Kadeem Allen prove the Wildcats still need some upperclassman leadership. After a sluggish start to the game, Arizona head coach Sean Miller inserted Jackson-Cartwright, who sparked an immediate 15-3 Wildcats run. It happened again after he was out for a brief 30-second stretch, whereupon Miller inserted him and he created an and-1 opportunity for Lauri Markannen. Allen, as a senior the “graybeard” of the Wildcats, watched a comfortable lead drop to only seven points at the 13:30 mark of the second half. The Wildcats went on an order-restoring 12-4 run over the next four minutes, with Allen scoring seven points to lead the surge. Lauri Markannen is evolving, and that’s scary. The freshman big man took eight shots in the first half, only one of which was a three-pointer. The rest of the half involved Markannen doing his work in the paint, absorbing contact and finishing. He finished the game with 20 points on 8-of-12 shooting with zero three-pointers as part of the mixture. That’s considerable restraint from a player who is shooting 43 percent from long distance on the season. Arizona needs to play a full game on defense. The Wildcats allowed a 50-point half to Oregon in the Pac-12 championship game followed by a 45-point half to North Dakota tonight. That’s not the kind of sustained defensive effort that carries a team into the third (or even the second) weekend of the NCAA Tournament. Sean Miller zeroed in on transition as an issue for the Wildcats, and although early offense is not a hallmark of Arizona’s next opponent, shooting the three-pointer certainly is. 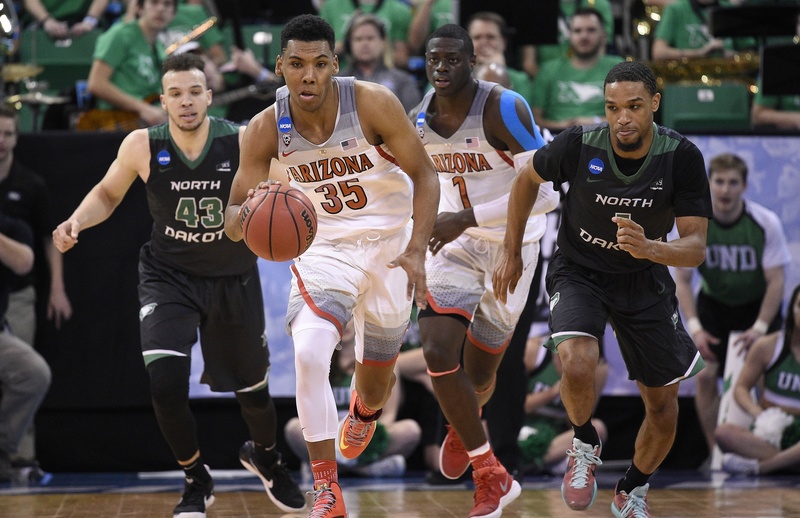 Playing only one good half of defense is not likely to work for Arizona moving forward. Star of the Game. Rawle Alkins is quietly reliable. This may seem like an innocuous statement, but it is important to Arizona given that he is a freshman who literally moves his teammates around on the court and virtually never suffers a freshman lapse. All he did on Thursday was score 18 points, grab five rebounds and dish out four assists without missing a shot or committing a turnover. When Parker Jackson-Cartwright sprained his ankle in a game against Texas Southern on November 30, Arizona head coach Sean Miller must have been worried. His team’s offense, already a concern because of the retirement of Ray Smith and the continued absence of Allonzo Trier, was about to lose its only true point guard. To that point, Jackson-Cartwright had amassed a healthy 37 assists to just 11 turnovers and it stood to reason that, with the Wildcats’ best playmaker hurt and the schedule only getting tougher, an inexperienced offense would struggle to score. Instead, Arizona lost just once in the six games Jackson-Cartwright missed (to unbeaten Gonzaga) and have yet to suffer a defeat since his return. A team that ranks 325th nationally in experience is now quietly 15-2 overall and keeping pace with Oregon and UCLA at the top of the Pac-12. Miller’s defense, of course, deserves a lot of credit. His pack line scheme is one of the stingiest in the country, but that’s true most every year — the man can teach defense. Rather, that Arizona’s offense ranks among the best 30 in the country is the story in Tucson. 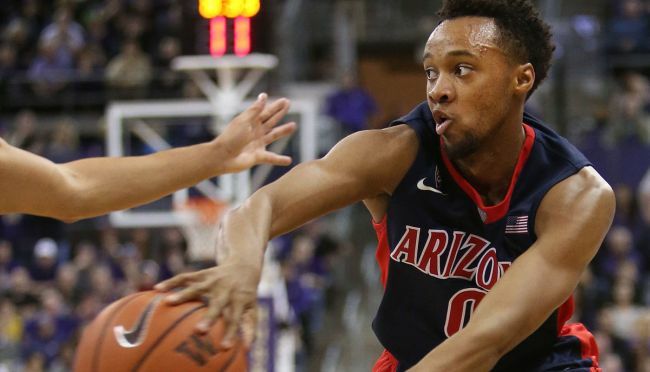 Pac-12 Burning Questions: Who Will Play Point Guard for Arizona? Even after graduating the team’s two leading scorers, Arizona has everything it needs on paper to dethrone Oregon and reassert itself as the best team in the Pac-12. The Wildcats have a redshirt senior who is likely one of the best on-ball defenders in the conference. 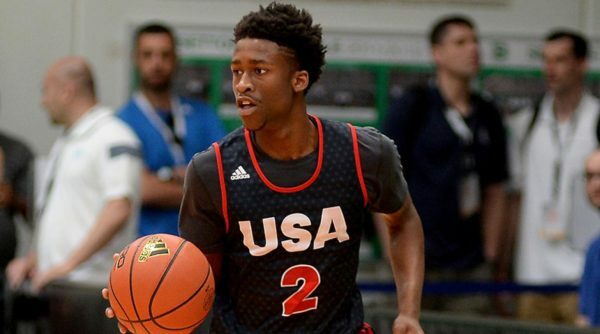 They have a reigning member of the Pac-12 All-Freshmen Team who averaged nearly 15 points per game last season. They have a freshman wing with enough athleticism to put his own coach on a poster. They have a freshman stretch forward from Finland who can bang three-pointers and take awkward photos with local political figures. They also have a cache of athletic big men, led by a Serbian with enough offensive game to make the program’s official Twitter account think it is okay to rip off the nickname of one of the NBA’s greatest players ever. However, there is one position that isn’t represented on this list and that is because there are still very serious concerns about it. That position is point guard. Replacing Allonzo Trier: Arizona’s Conference Title Chances? When Arizona lost senior center Kaleb Tarczewski to a strained muscle in his foot more than a month ago, the Wildcats didn’t miss a beat. They won seven of the eight games that he missed and backup Dusan Ristic performed admirably in his stead. 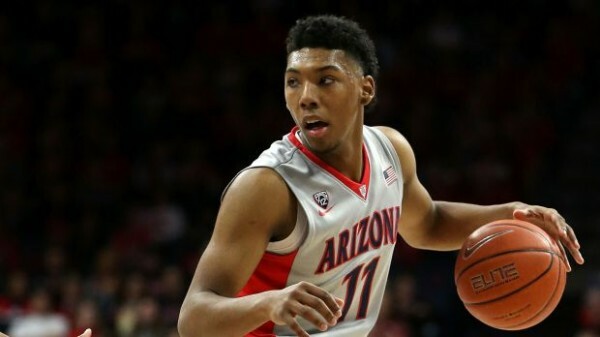 A little more than a month later, Arizona finds itself in a similar situation as freshman Allonzo Trier is expected to miss 4-6 weeks with a broken hand. This time, however, the Wildcats are going to have a much tougher time plugging the hole. Arizona went to the Wooden Legacy tournament last weekend as one of two ranked teams, seemingly on a collision course with Michigan State for a meeting in the title game on Sunday. Instead, they looked only slightly less awake than your average relative post-Thanksgiving dinner in their opening round overtime win over then-winless Santa Clara, then looked exceedingly average in a loss to a Providence team that played almost half the game without star Kris Dunn due to foul trouble. A Sunday bounce-back against Boise State did little to mask the fact that this is not your typical Arizona team, as these Wildcats lack the star power, athleticism and overall upside we’ve come to expect in Tucson. 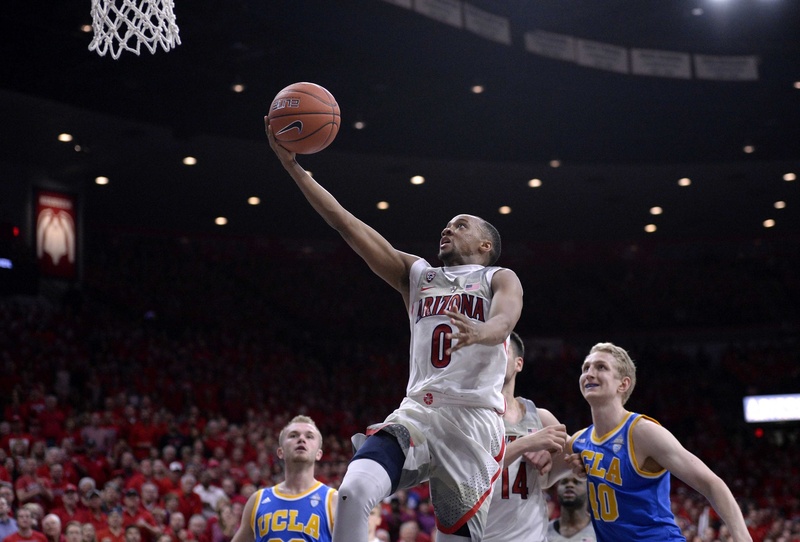 When we previewed Arizona in the preseason, we detailed that for once, this is an Arizona team that is without not only an NBA lottery prospect, but also a surefire NBA draft pick. Stanley Johnson, Aaron Gordon, Derrick Williams? Nope, not a guy like that to be found here. Still, this is Point Guard U, right? They’ll at least have a savvy floor general to calm everything down? Not yet. 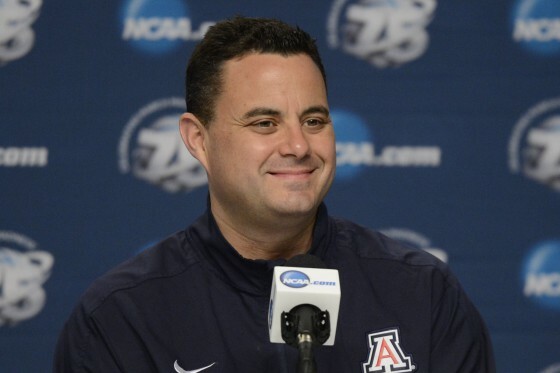 Instead, Sean Miller has been forced to choose between a 5’8” facilitator in Parker Jackson-Cartwright and a JuCo transfer off-guard making the transition to the point in Kadeem Allen. And the elite lock-down defense of the past three seasons in the desert? Miller will certainly get plenty out of this team on that end, but there are no obviously great individual defenders at this juncture, both on the perimeter and in the paint. This isn’t a team that can win by overpowering opponents in any singular way, and the Arizona coaching staff has already accepted it. “One of the things we’ve learned is that room for error and that margin, that gap we experienced the last couple of years isn’t there right now,” said Miller on Friday night after the loss to Providence. Everyone talking about Arizona during the offsesaon (even Jay Bilas) seemed to agree that the biggest question facing head coach Sean Miller was how he would replace do-it-all point guard T.J. McConnell; but no one could have expected how quickly transfer junior Kadeem Allen would be able to answer that question. Arizona Preview: Can These ‘Cats Be Elite? 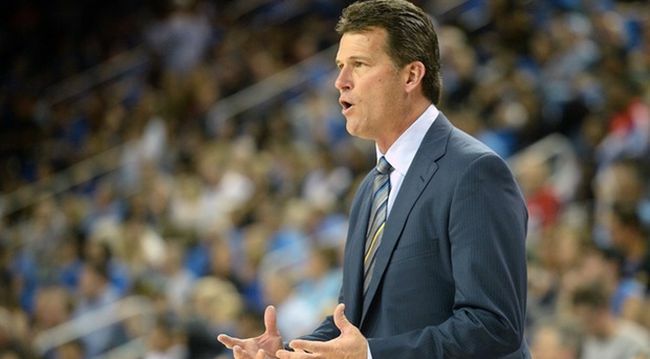 Leading up to season tipoff, the Pac-12 microsite has been evaluating each of the league’s 12 teams. Today, we take one step closer to wrapping up our trip around the league with a visit to Tucson, the home of the repeat champion Wildcats. Over the past two season, Sean Miller’s club has dominated the Pac-12 on the way to consecutive regular season conference championships and a pair of Elite Eight appearances. (Damn you, Wisconsin!) But, the past two offseasons, this program has put the likes of Brandon Ashley, Aaron Gordon, Rondae Hollis-Jefferson, Nick Johnson, Stanley Johnson and T.J. McConnell into the NBA pipeline. Outside of another group of Wildcats out east a ways, there are very few programs in America that can sustain those kinds of losses and yet retain the ability to make deep runs into the NCAA Tournament. Sean Miller hopes to prove this season that they’re among those programs on that very short list.